Plain English is a way of writing based on the concept that any educated person should be able to be read a document and understand it on first reading. If you can already speak and write in English at an upper intermediate level, plain English will help you to communicate more effectively. WHERE CAN I LEARN PLAIN ENGLISH? 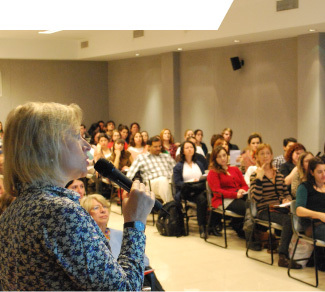 Joanna Richardson’s tailor-made written and oral courses address the specific needs of the Spanish-speaking professional in today’s globalized workplace.